Back in April I previewed a painting my son Blake was working on at school. It's now "finished". I put that in quotes because there never really finished in Blake's eyes. I am posting two pictures of this painting because I think it is so amazing how different the look and feel is depending on the light. Click on the two paintings to enlarge them and you will see the painting I see everyday when I come down the stairs in the morning and then the second one is the one I see right before I go up to bed at night. I'm enjoying this painting now because I know it's just on loan to us. While in McCook, Nebraska last weekend we were able to see three baseball games and visit the art department. It was fun to see Blake and the McCook Indians play ball. The highlight of the trip for my wife and I and Blake's grandma and grandpa was a chance to visit the art department and see some of Blake's recent creations. We were able to see a painting that Blake has been working on for some time and see his newest creation. Also, we were treated to his girl friend Kendra's newest painting. 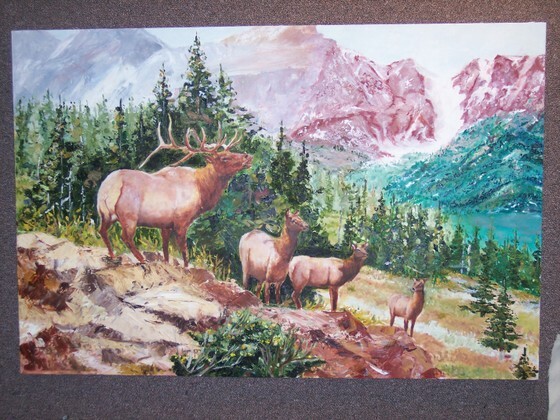 Some of you have seen Blake's elk painting below because he has had a partially finished version on his cell phone for a while. I don't know if he ever considers his paintings finished...but this one looks done to me. This is mainly a picture of Blake's girlfriend Kendra. What a nice smile Kendra! And a great personality to match. Oh, and the paintings. 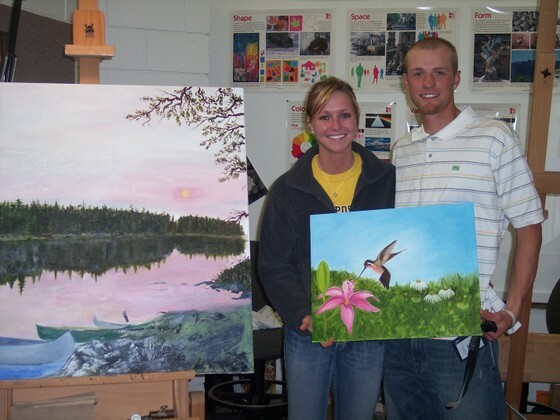 These two are holding a very nice painting that Kendra is just finishing up. I love humming birds and she has done a really nice job with this one. The painting on the left is one Blake is currently working on and is also pictured below. Recently I wrote a little article regarding the logo my son Blake created for his school, McCook Community College. I found out over the weekend that there was quite a write up done on it in the McCook Daily Gazette. This is a really neat article that just about brought a tear to my ear and really made me proud of who he is, and is becoming as a man. I have attached the article below and hopefully you can click on it to make it large enough to read. Most of you know that my son Blake, a.k.a. "My favorite artist", is often busy painting things that I could not even dream of painting. In fact, my mother used to tell me that I got all of my artistic talent from her. And then she would laugh and say she can't even draw a stick person. You get the idea. Blake is also an accomplished collegiate baseball player. He is in his second year at McCook Community College, a junior college in the heart of Nebraska. They start their competitive spring season coming up on February 8th in Snyder, Texas and also play in Kansas and Oklahoma before finally playing on their home field February 26th. Check out the rest of their schedule here. Blake was approached by head coach Jon Olson to redesign their logo. Below is the non-descript logo of the past. It is interesting to note that he had numerous design limitations on colors and what he could do with the logo. The biggest restriction centered on their nickname. 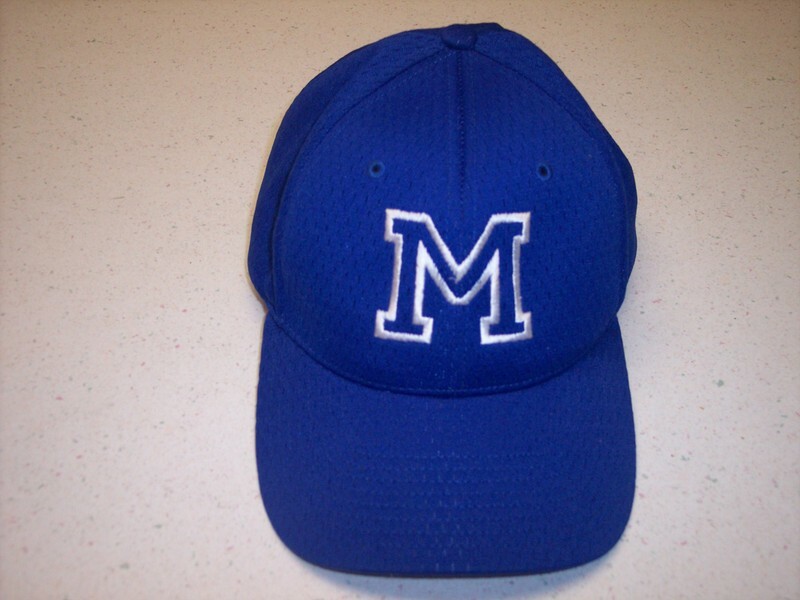 They are the McCook Indians and it was made clear to him that the new logo could not include an Indian brave, a tomahawk, or other logo ideas that have been associated with schools that have a nickname of "Indians". 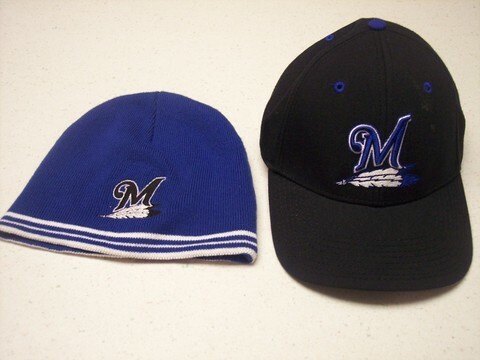 With that in mind, the new logo that Blake designed and some of the new gear is shown below. 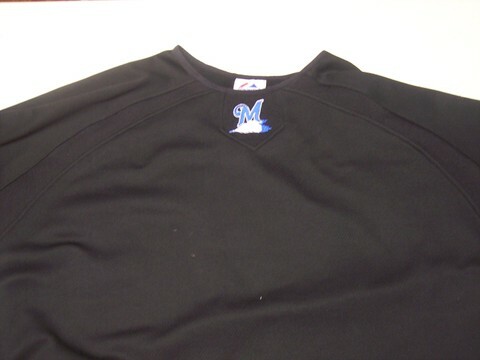 And here is the pullover. Pretty cool stuff. And, last I heard none of it is available because it sold out. If you want any of this gear, let me know. I'm putting an order in soon. When I started this site a few months ago, I promised to post more of my son Blake's paintings and drawings. Finally, I am living up to that promise. My favorite is The Valley, but I love the Cave Bear, and the Doe is great and Bubbles is very cool and the Cross is great....Guess I love them all!